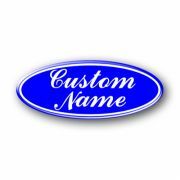 Discount Vinyl Graphics and Decals for your wheels. We sell only top quality exterior grade 7 year weather resistant durable vinyl at low low prices, so have a look around - you wont be disappointed. 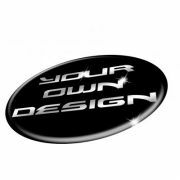 We can create many CUSTOM 3D Domed Gel Wheel Badges from your own designs. Supplied with application tape fitted ready to apply - with fast and easy to follow instructions. If you have any questions on our wheel badges, please feel free to ring us on 01484 810333 between 10:00 and 4:00. Thank you for visiting our site, why not have a look around and see what you can find? Start earning a BIG 15% on sales made through a link to us from your site, email signature or forum postings. To find out how you can start earning 15% commission click here MAKE ME AN AFFILIATE NOW!